Employer Partners Day is an excellent opportunity to create new connections with College of Business faculty, staff and administration, and learn how to enhance your presence on campus and benchmark with other hiring organizations. 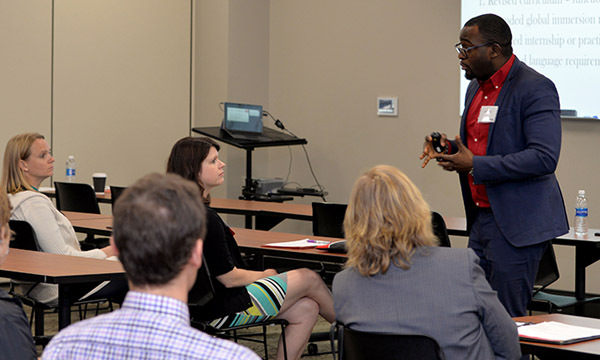 The Employer in Residence program provides the opportunity for employers to increase their brand awareness and connect with College of Business students about internships and full-time positions. 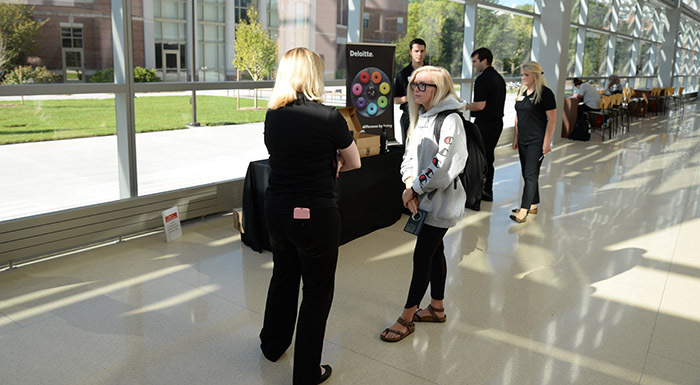 A different employer is featured each day throughout the fall and spring semesters. For more information or to learn how to become an Employer in Residence, contact the Business Career Center. BSAD 111: PrEP I Investing in Strengths. Students identify their strengths and learn how to leverage them for success in college and beyond. Employers interact with students at career fairs. BSAD 222: PrEP II Career Development & Planning. Students learn about their interests, skills, and values and identify career goals. BSAD 333: PrEP III Internship & Job Search Strategies. Internship and Job Search Strategies. Students learn how to effectively search for, apply to, interview for, and secure internships and full-time jobs. 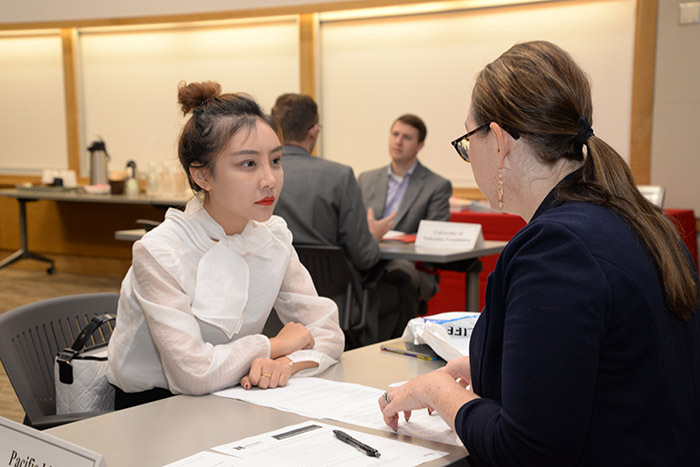 Employers provide practice interviews, résumé reviews and short video tips and interact with students at career fairs. BSAD 444: PrEP IV Professional & Life Skills. Students learn about the transition from college to career through presentations from industry professionals and alumni. Employers submit presentation topics for consideration and, if accepted, present to the class. 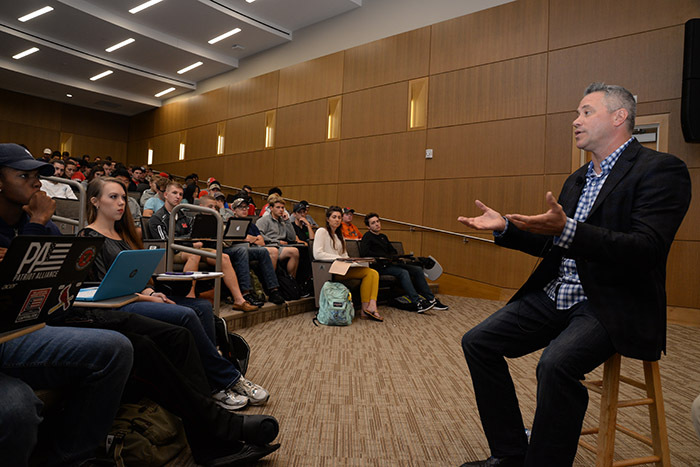 Students attend professional development events in the community. Host student site visits whether through classes, Business Career Center Career Expeditions, or targeted programs such as Business Learning Community, Honors Academy and DREAMBIG ACADEMY. The Business Career Center provides these Job Offer Guidelines to provide both students and employers standards for job offers and acceptances. Handshake is the place to post jobs, register for career fairs and manage campus interviews. Enrollment by major, ethnicity, gender, etc.